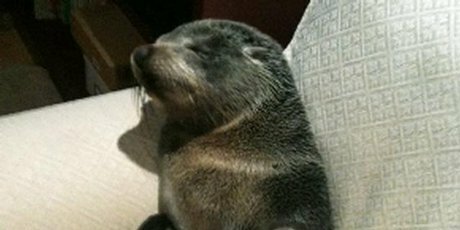 Iv mentioned Seals before in my NZ wildlife post however this popped up in the news yesterday, apparently this cute baby seal walked through the cat door and went to couch were it curled up and went to sleep. The owner apparently called the SPCA and explained what was happening, however at the beginning they laughed at her and she had to exclaim she was not drunk and several times repeated that she was sure it wasn't just a stray dog, understandable considering the unusual situation. After they caught it however the antics continued saying "At Ms Swoffer's home, the seal was put in a net and box but as it was being driven away in the Doc vehicle, it escaped and made its way up to the front of the vehicle, accidentally turning on the radio and ending up on the front seat"
Sounds like something from a Disney movie to be honest, good thing she had her camera because no one would believe it otherwise, first time I have heard of a seal entering someones home however I have heard of Penguins entering through cat flaps in Eastborne which is near a penguin sanctuary. 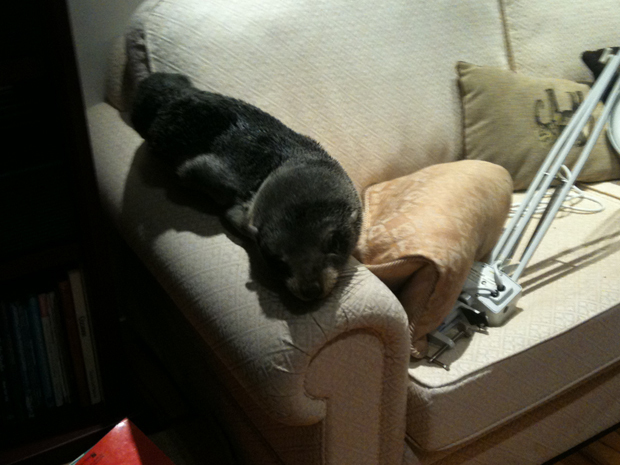 This is the seal I talked about in my other posts, they seem quite common and friendly in NZ, however should always be careful around wild animals, take care guys. 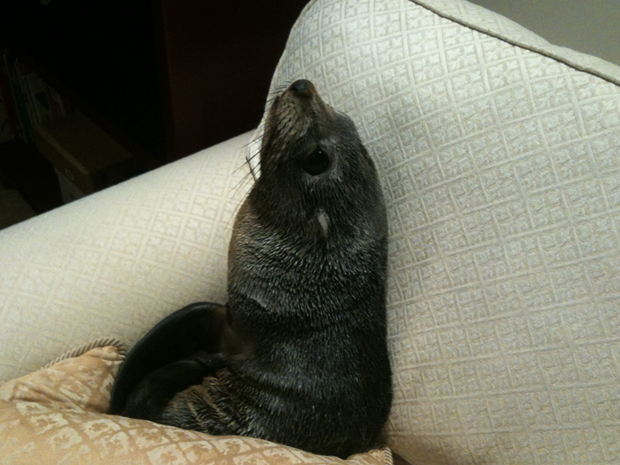 Awwww that seal is absolutely adorable, and awesome. aww how cute. I wouldn't mind one of those guys sleeping on my couch. Saw this on the news earlier, baby seals are just too adorable, I would have kept it! 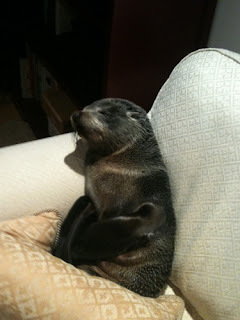 Damn I would keep a baby seal myself if it wasn't for the fact their breath reeks of fish. She must have been very cold! Or this kind of thing happens all the time and no one beliefs the person cause they don't take pictures! omg he's so cute !!! I want to hug him, too, Jerzey. Someone I Love went kayaking last weekend and saw lots of seals and otters, staring lazily at her and her friend as they paddled along.